You are here: Home / Supply Chain / VAT Rebate for Exporters in China: How Does It Work? VAT Rebate for Exporters in China: How Does It Work? The full VAT rate is now 16% (not 17%). To see a graphical representation of the VAT and VAT rebate flows, see this post. Most importers buy their goods under FOB terms and don’t need to worry about the export procedures, which are handled by their suppliers. But, in some cases, the Chinese exporter tells a story to justify a delay, and the purchaser needs to understand the mechanisms at play in order to understand what really happened. So here is what I understood about the VAT (Value Added Tax) system, and the rebate that applies to exported products. The VAT rate that applies to manufacturing activities is 17% in China. And the Chinese government give a VAT rebate to exporters — by the way, this is not unique to China, and many other countries collect no VAT on sales to foreign companies. China gives full rebate (the whole 17%) on export sales of a few product categories. For other categories, the rebate is lower, or even 0%. It depends on what industries China wants to encourage. To collect this rebate, the exporters need to show that they have paid the VAT on the parts they purchased, and that they have exported the finished products. From what I gathered, they typically get the refund several months later. Can all exporters prove that they have paid VAT on the parts, before exporting products? Of course not. A friend tells me of many Africans who buy products on the market in Guangzhou and ship them to their country — they have to work with a freight forwarder who will sell them a “maidan chukou”. This document is, from my understanding, an authorization to export without the usual formalities. Similarly, the manufacturers of electronics in Shenzhen who buy parts illegally from Hong Kong (without paying any VAT) have to work with a freight forwarder to get their goods shipped out “under the radar”. The forwarders, who often have an I/E (Import & Export) company on the side, monetize the rights to get shipments out in this manner. They typically have an export license with a very wide product scope, so they can handle many product categories. What are the implications for foreign buyers? In at least 95% of cases, the importer is better off buying under FOB terms, to avoid all these declarations. Smart buyers will note that it is safer to work with a Chinese company that has an export license, rather than having one company take care of production and another one handle paperwork. What happens if the “paperwork” company gets into trouble with the government at the wrong time? Do all these intermediaries respect the confidentiality of your data? Did I get this right? I am not the foremost expert on this topic! It is common for the manufacturer and exporter to be separate companies. In the old days when large vertically-integrated government owned factories were the norm, they were the same company. But back in the days those companies frequently made big loses. Nowadays, those 2 entities are mostly split for SMEs. Exporters are in the business of making money with money. Exporters have the license to export and collect VAT rebates and profit from getting a cut out of the rebate. Their niche is that they must maintain good relations with the government and with ocean ports. 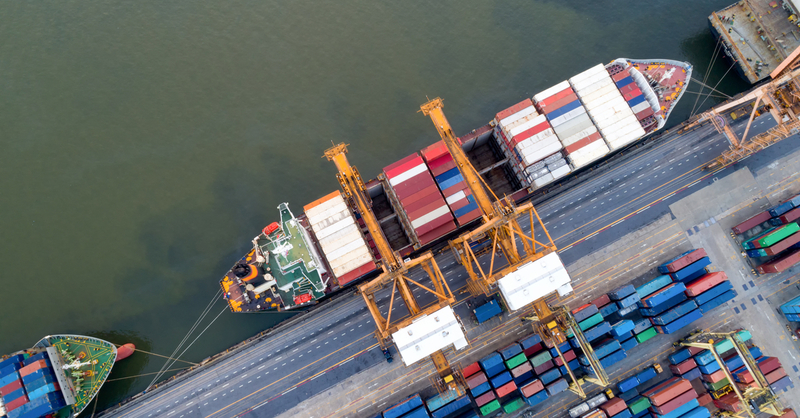 If they don’t pay up to the right people, ocean ports are known to give companies a difficult time by frequently inspecting containers from companies they don’t like and therefore delaying it for weeks or months. Of course they only go after the fat cats. Exporters often don’t manufacture their own goods but since they must export under their own name, customers sometimes erroneously think that they are the manufacturer. All payments wired from abroad must also go through the exporter and the government keeps track of this in order to know how much to rebate. The exporter takes a cut and converts the rest to RMB and wires it to the manufacturer. The manufacturer doesn’t need to maintain good relations with the government but they must know how to manufacture. When they finish their goods, they choose an exporter and export goods under the exporters name. Manufacturers cannot ship goods out of the country without an exporter. They also cannot receive “export related money” without going through an exporter. The difference between export money and regular money is that export money can go towards VAT rebates, while money wired directly to a manufacturer cannot. The manufacturer deliver the goods to the ocean port and wait for the exporter to collect the payment from the foreign company before wiring it to the manufacturer in RMB. Notable exceptions are exporters that are able to group together a diverse range of items and ship them all at once with little legal paperwork. Their methods are proprietary and needless to say they pay up to the right people. There won’t be any VAT rebates with this; at least not to the manufacturers. They are mostly used for shipping small quantities of items where the process of applying for the VAT rebate costs more than then getting the rebate, and sometimes exporters won’t even want to deal with manufacturers making small quantities as it’s not worth the business. VAT rebates take months. The manufacturer can’t afford to wait that long so the custom is for the exporter to estimate the rebate and give it to the manufacturer as soon as they collect the payment from the customer. Any delays will be in collecting the rebate and not in shipping out the goods. Unless the manufacturer can’t find an exporter willing to handle their shipment for reasons of quantity too small or they don’t like the rates charged by their exporter. Dmitri, thanks for adding to this article! Everything you wrote sounds very correct. I would add that many manufacturers have their own export license and do the whole process themselves, rather than going through an exporter. For more detailed, industry and geographic updates (such as what is happening in the Shanghai Free Trade Zone) type VAT into the search function of the China Briefing website and all the regulatory updates and commentary on how they affect foreign investors will appear. Right, it is one of those things that need to be confirmed with the local government of with local service providers.